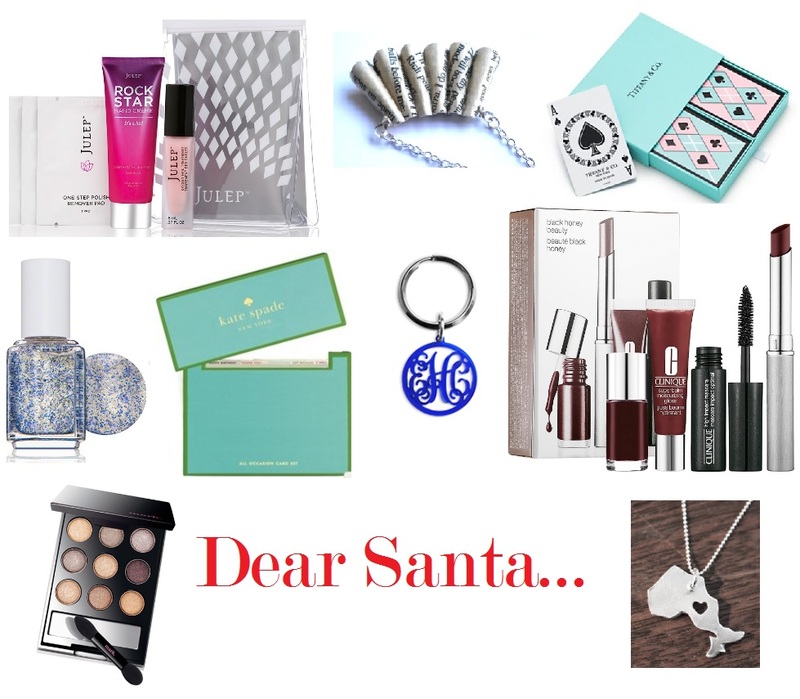 My Picks: Stocking Stuffers and Girly Holiday Gifts! The holiday season has officially started, and while you’re shopping for those on your nice list, you can’t forget to add things you love to that wish list of yours! I’ve put together a few of my favourite items this year, some of which I already own, and others that I’m hoping Santa has in stock for me in his workshop. Luckily, most of these items are small, and budget friendly, so not only will they fit easily in Santa’s bag, they’re also great ideas for your girlfriends or loved ones. Let’s get to it! Personally, I think this set is brilliant. Probably, because on numerous occasions I’ve found myself at work or at a special event with chipped nail polish and am forced to tediously, and quickly, pick it off my nails (am I alone on this one?). This set is perfect for leaving at your desk, and is small enough to fit in your daily tote or purse. It comes with 3 packages of nail polish remover wipes (1 is enough to remove the polish from both hands), hand cream, and Julep’s signature “Oxygen Nail Treatment”, which conditions nails while covering them in a universally-flattering pink-toned glaze. A part of their new “Encrusted Treasures” holiday collection for 2013, this polish is stunning and is definitely a statement maker. It’s flashy, holographic, yet surprisingly wearable. I am aware of my addiction to nail polish, and the fact that I tend to buy more than I could possibly ever wear in a lifetime, yet I find myself needing this colour. You do too. I don’t think there is anything quite like the elegance and simplicity of the Tiffany box. The downside? The expensive price tags of the items that are usually inside. Not only is this set of playing cards a fun gift for a friend (who doesn’t like unwrapping a Tiffany’s box? ), it solves the problem of “I can’t find the deck of cards in the junk drawer”, or the “I only have a 42 card deck because I didn’t use an elastic” dilemma. Now, you can store them all together in a cute box on top of your dresser or coffee table, and no one ever has to know that it’s not a diamond necklace hiding inside. It’s time to retire that old keychain you got at the zoo 3 years ago, and ask Santa for something a little more chic and grown up. Plus, who doesn’t love receiving something personalized? Not only are these key chains adorable, they are affordable enough to buy for each of your friends. They come in wide range of colours, and if you order right now, Christmas delivery is guaranteed (and free!). I’ve mentioned the company My Name Necklace in a previous post; check out their other items, they make great gift ideas too! If you’ve read my previous posts, I think it’s already pretty clear that I’m obsessed with Clinique’s Black Honey line (I’ve talked about it here and here). Universally flattering and beautifully formulized, this set allows you to try a few of the products in line, without the commitment or need to buy the full sizes (though you do get a full sized lipstick). Ask for this set for yourself, or find comfort in knowing that whoever you buy it for, the colour will almost certainly work for them. Note: though it is not currently on their website, this product is available in store at Sephora. I recently discovered this line at a outdoor holiday market, and the minute I saw it, I couldn’t get over how genius the idea was. Almost everyone has a classic book that’s close to their heart, and now you can literally wear it around your neck (or wrist). The artist uses pages from novels such as The Great Gatsby, Pride and Prejudice, and Romeo and Juliet, and turns them into beautiful earrings, bracelets, and necklaces. Well made, and extremely well priced, this is the perfect gift for the book lover in your family or circle of friends. How many times have you ripped your house or desk apart searching for a card for a last minute event, or a forgotten (oops!) birthday? This boxed set ensures you’ll always have one handy, as well as an organized system for storing and organizing the cards for various events…and did I mention that it’s by Kate Spade?! (If you can’t afford to give her a Kate Spade purse, these gorgeous cards are a close second!) Also, much like the Tiffany box, you’ll get that “ohhh” factor when she opens this luxe designer set (followed by a huge bear hug, I’m sure). It’ll look great on your desk too! When you’re wrapping this up for a friend (or yourself), you’re giving them the gift of convenience (and gorgeousness, of course!). This is the perfect eye shadow compact for travel or for your purse. It includes 9 neutral shades that can be worn every day, every where. They are highly pigmented and come in a hard case to minimize the risk of shattering. Not really a neutral tone kind of girl? Check out the Smokey Eye or Bold Eye versions instead! When it comes to jewelry, we show the love for our initials, pictures, and favourite stones. But what about showing some love to that amazing province or state of yours?! These awesome necklaces come in a variety of materials and tones, and are sure to be a conversation starter. If jewelry isn’t your thing, be sure to check out the artist’s ornaments as well! ← October/November Fashion and Beauty Favourites!